Rails vs Phoenix MVC - Things I've learned related to programming. As I was beginning to read and learn about the Elixir/Phoenix world, I stumbled across this talk at the Elixir Warsaw Meetup by José Valim, the creator of Elixir. In this talk he’s giving a high-level overview about the benefits of using Phoenix: the productivity benefits we’re accustomed to from Rails, and the performance of the underlying Erlang runtime. I noticed that the controller was the center point of the image. The controller would reach out to the “leaf” nodes—none of the leaf nodes are connected. Here the nodes are all interconnected. 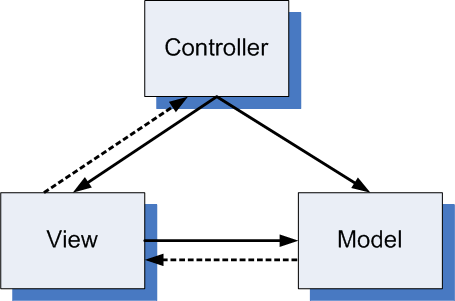 In the controller action we find the model, and then call a model method to do the work (after all, you do practice Fat Models Skinny Controllers™ don’t you??). That model method calls another method, which calls another method, which calls a private method that finally does the “side-effect.” Sometimes, the method calls can nest three or four times deep (especially as the app grows in size). Arguably the most difficult part of software is reading (and understanding) someone else’s code, and then being able to maintain that code effectively. I’m starting to think that the Phoenix pattern would be an excellent thing to bring into my Rails apps. If only the controllers produced side-effects, it would be very easy to read through the controller action and see what is actually going to change. 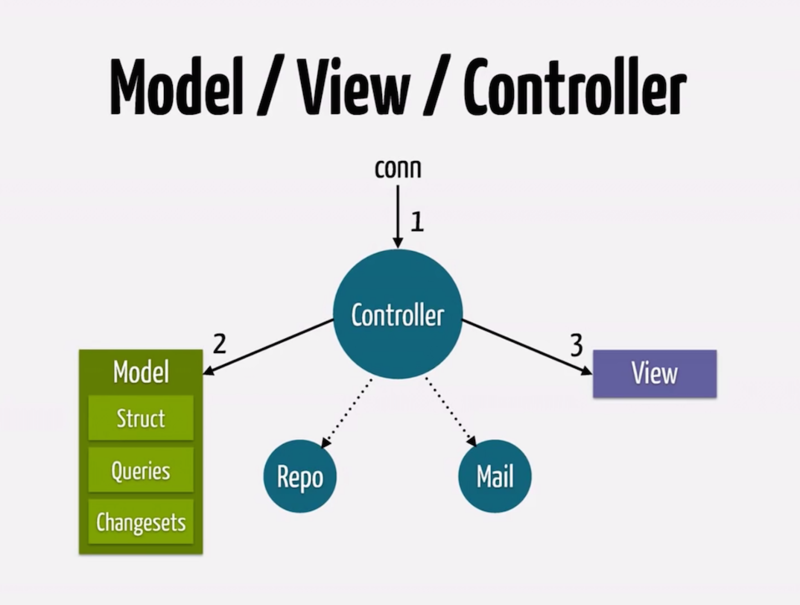 If all change happens in controllers, the Rails models would become more like a functional programming language’s modules—independent functions that transform data without persisting side-effects. That sounds easier to use, compose, and test. While I’m sure I’m not the first person to think this, it is something I’m going to implement moving forward—whether I’m in Rails or Phoenix land.